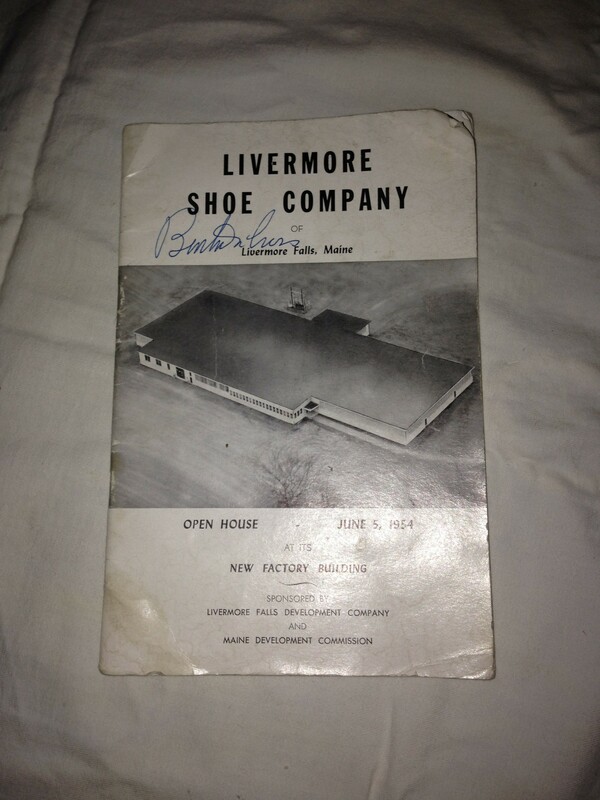 Own a piece of Livermore, Maine’s history! 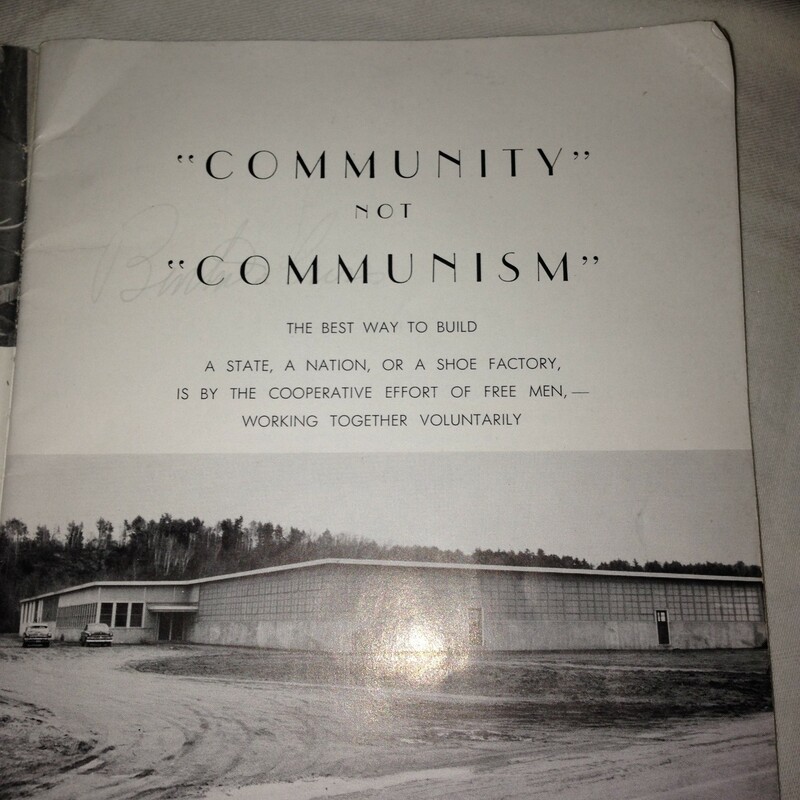 This 36-page Open House / Grand Opening brochure is older than I am! (Albeit not by much.) 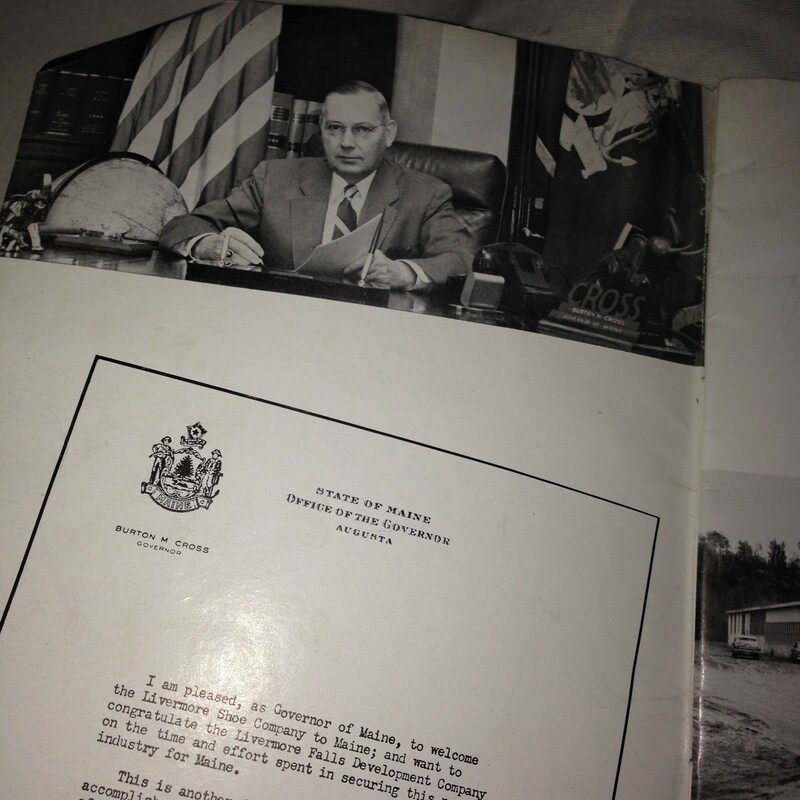 The front cover was signed by then Maine Governor Burton L Cross, and is filled with advertising and the names of local “Factory Bond Purchasers”. Format: Glossy, 36 page brochure plus cover. Black & white. 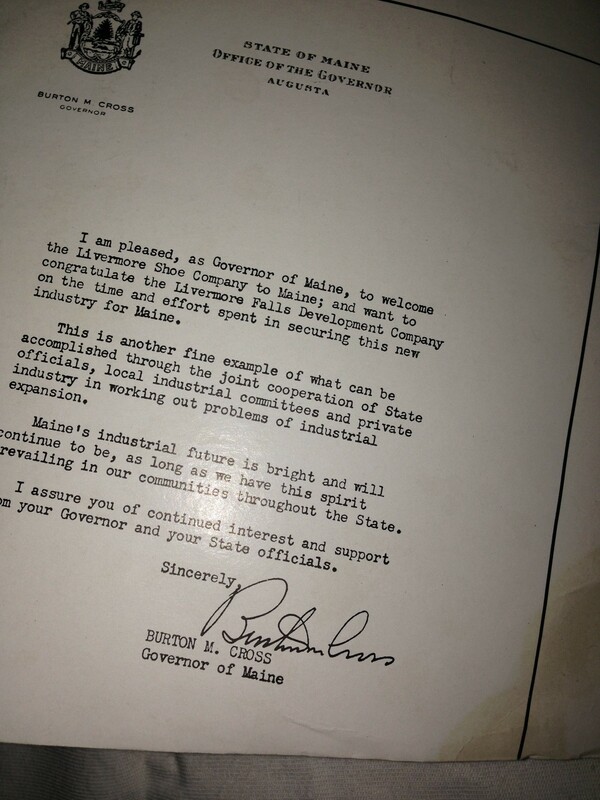 Price: $8.00 + 44c Maine State Sales Tax = $8.44. Condition: Has some minor staining and page curls. The white shading that shows in the photos is from the camera flash and is not seen in the print itself. 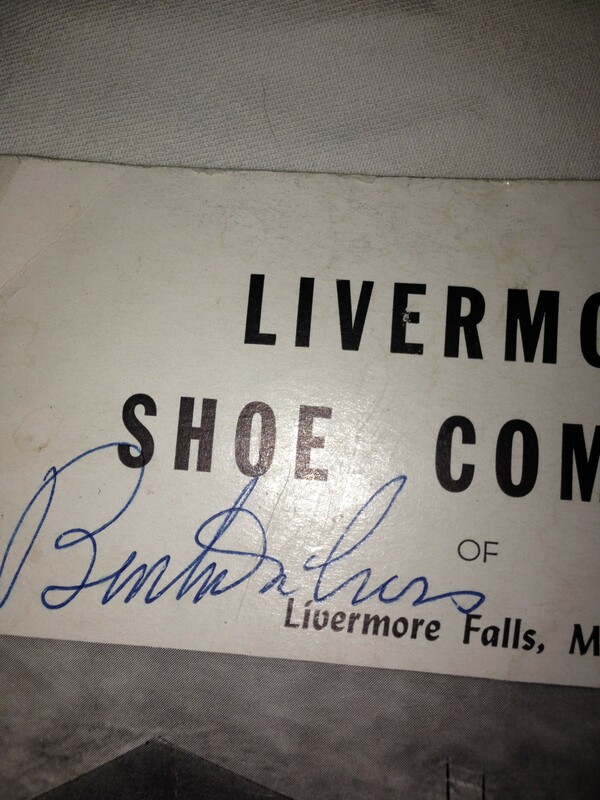 Location: Heritage Collectibles, Books & Maps, 189 B Main Street, Lewiston ME. You can find it in our Maine & New England section. 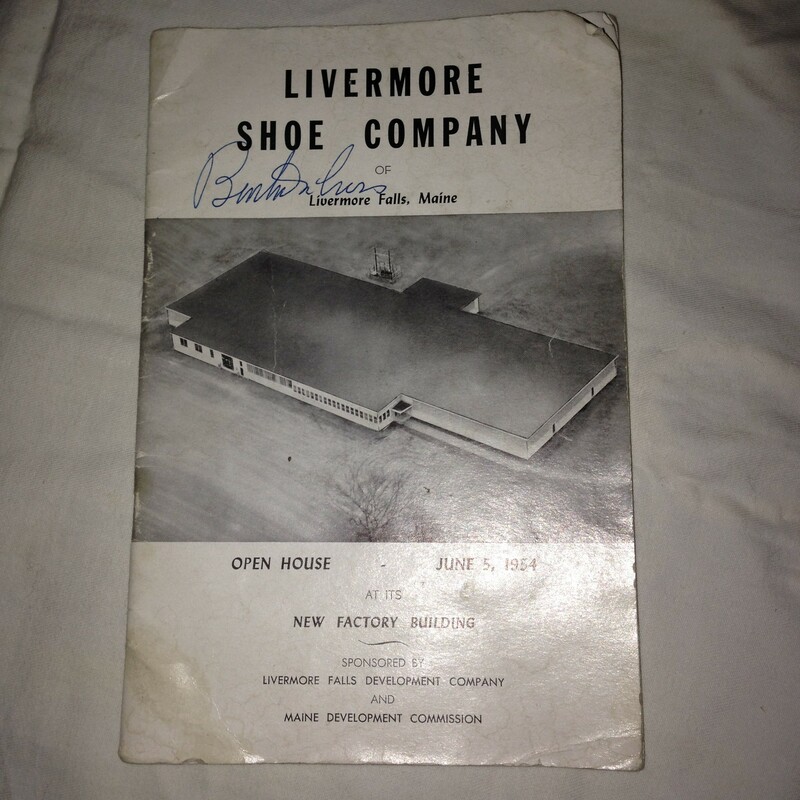 This entry was posted in Books - Maine & Local, Maine, Maine - Local Interest and tagged Burton L Cross, governor of Maine, Livermore, Livermore Falls Development Company, Livermore Shoe Company, Maine Development Commission. Bookmark the permalink.